On August 1, 2014, regulations put in place by the Florida Fish and Wildlife Conservation Commission will make it illegal to import any lionfish from the Pterois genus from any out of state source into Florida. This limits hobbyists, retailers, wholesalers, and research institutions here to only being able to keep or transport those lionfish that can be collected from waters within the state of Florida. There are widespread implications of this ruling ranging from the concrete and immediate to the hypothetical and theoretical. Below, we will take a look at why this ruling was passed, how it affects us now, and what it could lead to in the future. Around the middle of the 1980's, the first Volitans Lionfish (Pterois volitans) was spotted off the coast of Florida. Since then, they have proven to be ideally adapted to the waters of the western Atlantic Ocean and the Caribbean and can now regularly be found from North Carolina to Bermuda, south throughout the Gulf of Mexico and the Caribbean Sea all the way to the coast of Venezuela. These lionfish (mostly Pterois volitans, though there have been a few reportings of Pterois miles) have become extraordinarily invasive, feeding on virtually every native species present. Already, lionfish populations have become large enough that there seems no hope of ever successfully removing all of them. One of the first questions upon learning of this situation is often how the lionfish were initially introduced, and the truth is that nobody knows for sure. There are a number of different theories floating around including release by unscrupulous aquarists, fish being inadvertently transported in ships' ballast water, and accidental release caused by natural disasters, but at the end of the day they are all speculation and nobody knows for sure where or when the first lionfish were introduced. Unfortunately, the bottom line is that (for right or wrong) the brunt of the blame is being placed onto the shoulders of the aquarium trade. Effective immediately, it will be illegal to bring any Pterois species into the state of Florida. This includes not only the species (Pterois volitans and Pterois miles) that have been reported but also every other member of the Pterois genus such as P. Mombasae and P. radiata. Despite the fact that no other lionfish has ever been reported, the FWC chose to include them so as to eliminate the risk of future invasions by other lionfish species. The lionfish ban only makes it illegal to import lionfish, so it will still be possible to bring in Volitans lions that are collected in Florida water. This not only allows hobbyist and retailers to continue buying and owning these fish, it also lets you know that you will be benefitting the environment as every lionfish collected and sold is one lionfish that is removed from the Florida reefs. Segrest Farms will continue to bring in as many of these fish as we can in an effort to help remove them from the wild. In addition, because the ban is only on importation, it does not affect ownership at all. Any lionfish that have already been brought into the state (so any that may already be in hobbyists' aquariums or for sale in retail stores) can continue to be owned and sold. The thought process behind the importation ban is that by not allowing additional lionfish to be brought into the state, not only are you limiting the potential for additional introductions, you also ensure that every one that is purchased will be one that is removed from the wild. There has already been evidence that removing lionfish can help relieve some of the pressure they exert on the environment. There are also other beneficial measures written into the law that do not have as much effect on hobbyists such as expanding the options for divers and spear fishers who want to target lionfish. There are some major drawbacks to the law as currently written. With the enormity of the lionfish population that has already been established, eliminating further imports can easily be seen as mere posturing that will not actually decrease any of the damage being done. The primary goal should be to remove the existing populations, and halting imports will do little to address this goal. It can be argued that restricting Volitans lionfish creates an incentive for collecting them from Florida waters, but this argument falls apart when looking at the species that have never become established. 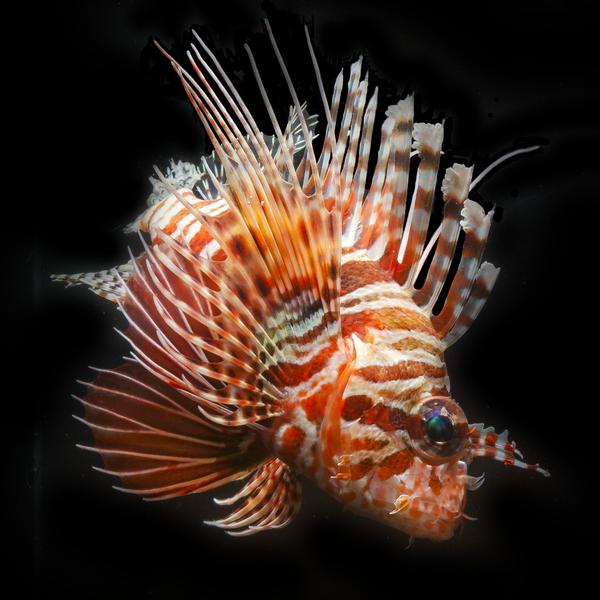 Restricting Pterois mombasae because Pterois volitans has caused problems is not based on any sort of scientific principles and is merely a reactionary measure designed more to bolster the appearance of being proactive than to actually address a problem. Another glaring hole exists in that there is nothing addressing the fact that lionfish have spread throughout the Caribbean. Their rapid expansion has clearly demonstrated that even if enough fish could be collected from Florida to significantly reduce their population here, that population would soon be replenished from elsewhere in the Caribbean. This regulation in no way looks at working towards a wider solution that will help throughout their established range. This law also sets some dangerous and, quite frankly, frightening precedents. Banning an entire genus based on fears of "what if" and "potentially one day" could lead to even more restrictions based on fear, the desire to manipulate public image, or even worse. There are people and organizations that wish to fully eliminate the aquarium trade and even all of pet ownership, and it is easy to see how they could use this sort of precedence as a tool to further their cause. At this point, this law is what it is. It does try to make progress, but it is by no means a perfect response to the situation. Perhaps most disheartening is that it makes evident the popular conception that the aquarium hobby and industry are to blame. A large target has been painted on aquarists, and we can all expect increased scrutiny in the future. I believe that we in the fishkeeping community are intimately concerned with the long-term wellbeing of the animals we keep, both in captivity as well as their wild counterparts. It is time that we strengthen this resolve, from the most experienced hobbyist to the youngest beginners, so that the rest of the world will believe so as well. This entry was posted on August 1, 2014 at 2:36 PM and has received 4708 views. There are currently 0 comments. Print this entry. Should I Drip Acclimate My Fish?